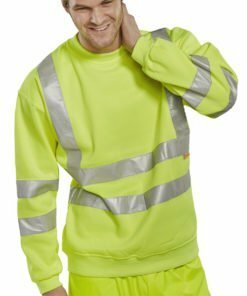 Our hi vis sweatshirts are from our range of high quality high visibility clothing. 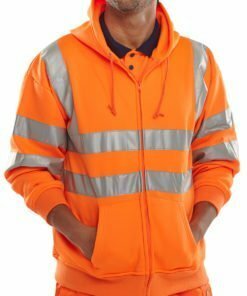 They will keep you cosy in the cooler months whilst also helping you to stay highly visible in high traffic or hazardous working environments. Available in a range of various sizes from small to 6XL. Choose from yellow or orange colours. Hooded and non hooded styles are available according to your preference. 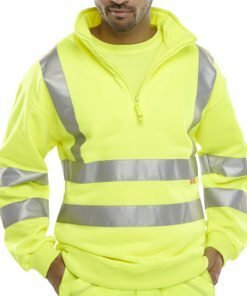 Our hi vis sweatshirts are made from the highest quality durable materials. Conforming to the latest safety standards and high visibility classes. Featuring 100% polyester fabric and reflective tape. Ensure you stay warm and visible to others when working outdoors, on the factory floor, in the warehouse or on a construction site. A must have addition to your hi vis wardrobe! Need some help with your order? Then give us a call on 0330 0885 675 and we’ll do our best to assist you.